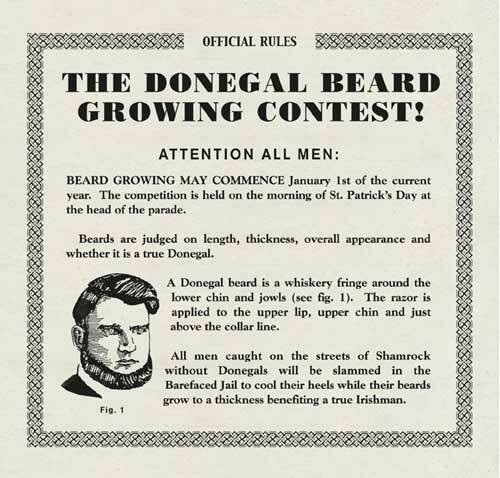 Marketed in other jurisdictions as Donegal, Pombo or Zaius. Tired of watching your household's knot-fingered and sclerotic handyman clamber yet again up the stepladder with the thrice-dropped screw pressed between his withdrawn lips? You're not the only one. Still, noblesse oblige, eh? So you might as well invest a couple of guineas in an Abraham Lincoln Magnetic Chin Curtain, which hooks with a class-specific level of comfort over the disproportionately large ears of the relevant member of your staff. Once donned, even the most rickets-ravaged decrepit will be unable to drop screws or nails, which should allow them to refix all the Red Room tapestry rods to the wall before Martinmas. This is a stuningly good idea. I'd like to place an order for twelve of these. In addition, is there a heavy-duty version available? We have recently been renewing and refurbishing all of the ornamental cast-iron lightning-rods on the west-by-south-west wing. Dermis (the only member of the maintenance staff with a head for heights) is not the safest pair of hands on the estate, and having to wear a hard- hat every time I walk around the Great Orchard is becoming tedious. As liberating to workers as Abraham Lincoln himself. I was only saying the other day that I wish I could write like Pratchett - make that calum/Pratchett! Suspect writing like Pratchett would be rather more remunerative. Thank you, though! Hot glue a neodymium magnet to the inside of your hard hat. Then you can stick screws to the outside. Also blocks government brain taps. Looking at the wikipedia article on Lincoln, the photographs seem to indicate that he grew his beard either about the time he was runnning for president or sometime thereafter. This rather marks him out from the fastidiously clean shaven bunch of wasters that seem to seek office these days, don't you think? Oh and good idea by the way (although I'm a bit concerned about your scheme for the Red Room). The popular story is a schoolgirl advised Lincoln to grow a beard in a letter she sent him before becoming president to cover his homely gauntness. How can anyone grow a beard in a letter? And what if Lincoln's wife came in and saw a schoolgirl covering his homely gauntness? Even if she was president? Can a sub-ed pls insert "stove-pipe" between "hard" and "hat"?